Hi Guys! I am so excited to take part in my first Lipstick tag! I’ve been itching to get involved with one for eons! Plus I have an incredibly (borderline obsessive) large, collection of lipsticks that I need to be reacquainted with! 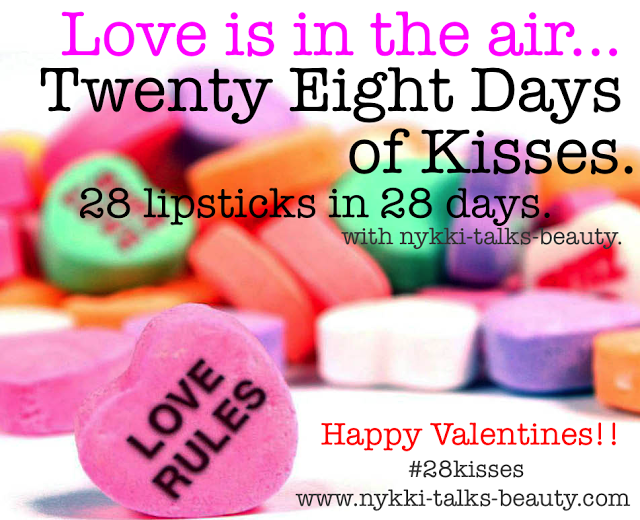 So basically what will be happening is that starting from Today I will be posting a lipstick a day for the next 28 Days aka #28kisses! BIG Thanks to Nykki from Nykki Talks Beauty who has invited the bloggervile folk to take part! If you’d like to get involved please check out Nykki’s post HERE. So whenever you see this image you know its LIPSTICK O’clock! Only thing about this one that I will say is that if u have dry lips, make sure you exfoliate first! It’s the most unforgiving lipstick for flaky lips! 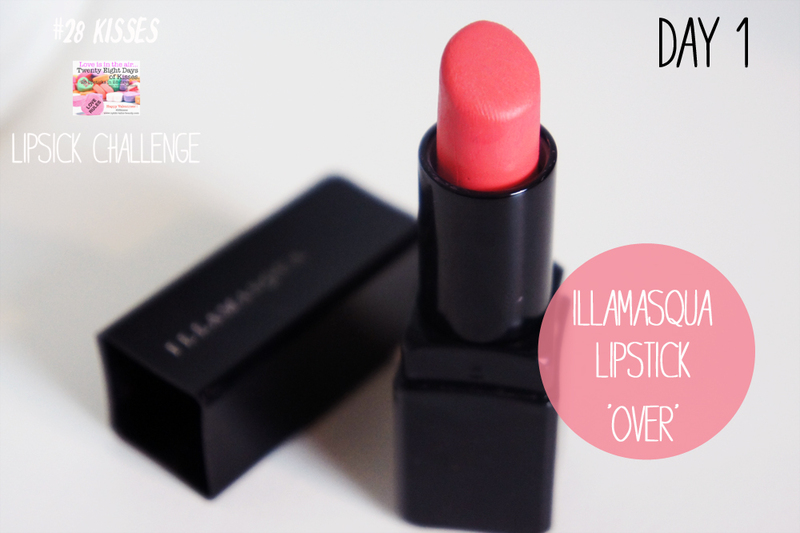 Tags: #28KISSES, Illamasqua, lipstick, LIPSTICK IN OVER, LIPSTICK TAG. Bookmark the permalink. Previous post ← RED ALERT: FOTD with red makeup.. Yep eyes included..
Haha! I didn’t even notice that they said ‘lipsick’ instead of ‘lipstick’ until you said something!! I bet nobody would have even noticed! That’s too funny. I’ve never tried this brand before… Is it located in the US? I wonder. I’m writing my first one up right now! Thanks for stopping by, glad you like the post/colour and thank you for including me!! I'm sure Illamasqua is available in US? Let me know how you get on! It's going to be so much fun! Can't wait for tomorrows post now! This is LOVELY! You are so pretty!